The Gratitude Relay is a social movement focused on spreading gratitude while bringing awareness about Friedreich's Ataxia (FA), an award-winning documentary, The Ataxian, and ultimately to help raise funds to research treatments and find a cure for FA. Why We Need You: We are asking for your help in bringing awareness on a larger scale so we can all move faster toward treatments and a cure. Why We Need The Movement: One of the biggest challenges the FA community takes on is raising funds for research, but we know the power of social media and human compassion. Our goal is to start a social movement that reaches out beyond our personal networks and brings awareness, inspiration, and ultimately drives funding to find a cure for FA. Write #GratitudeRelay and something you're grateful for on your hand, take a picture & post it. Pass the relay baton by tagging at least 3 people. It's your turn to join the #GratitudeRelay. I challenge you tag 3 or more people to share about their gratitude. Please copy & paste these instructions in your gratitude post & go to www.GratitudeRelay.com and learn more about the Relay to Cure FA! The Friedreich's Ataxia Research Alliance (FARA) is a national, public, 501(c)(3), non-profit, tax-exempt organization dedicated to the pursuit of scientific research leading to treatments and a cure for Friedreich’s ataxia. FARA is the largest funder of FA research in the world and has received a 4 star rating from Charity Navigator for 8 years in a row which places FARA among the top 2% of charities reviewed. Friedreich's ataxia (FA) is a debilitating, life-shortening, degenerative neuro-muscular disorder that affects children and adults. What begins as issues with balance and coordination, progresses over a short period of time to include severe mobility challenges, vision loss, hearing loss, aggressive scoliosis, diabetes, and life shortening heart disease. About one in 50,000 people have Friedreich's ataxia. One in 100 people are carriers of the defective gene but do not know about it until it affects their family. FA is caused by excess repeats of a specific sequence in the DNA (GAA). These excess repeats cause the lack of production of a protein called frataxin. Frataxin is known to be an important protein that functions in the mitochondria (the energy producing factories) of the cell. Frataxin helps to move iron and is involved with the formation of iron-sulfur clusters, which are necessary components in the function of the mitochondria and thus energy production. Specific nerve cells (neurons) degenerate in people with FA, and this is directly manifested in the symptoms of the disease. How would you react to a life debilitating and fatal illness? In "The Ataxian," one man shows the world that it is possible to take action and find hope under even the most life-threatening and daunting of circumstances. 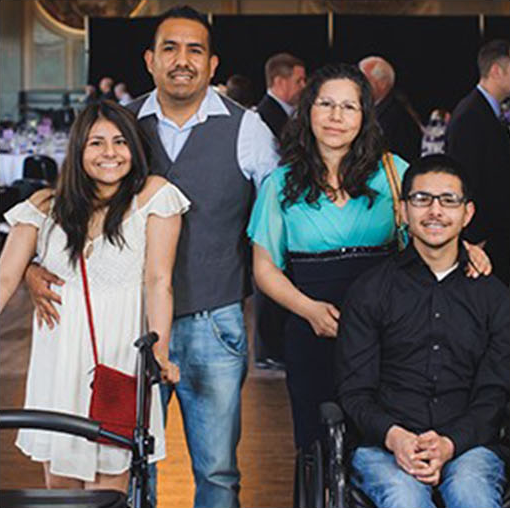 At age 17, Kyle Bryant was diagnosed with the relatively unknown progressive neuromuscular disease, Friedreich's ataxia (FA), for which there was no medication, nor cure. As Kyle lost his ability to play his favorite sports and even walk, he began biking long distances in a specially outfitted "trike." When he is finally relegated to a wheel chair, Kyle decides that enough is enough. He enlists the help of three friends, Sean - who also has FA - John and Mike, and they embark on the "toughest bike race in the world," the Race Across America (RAAM). In this feature-length documentary filmmakers and childhood friends Kevin Schlanser and Zack Bennett capture what is a grueling 9-day non-stop journey for anyone - much less someone with an energy-depriving affliction - that starts in Oceanside, CA, ending in Annapolis, MD. 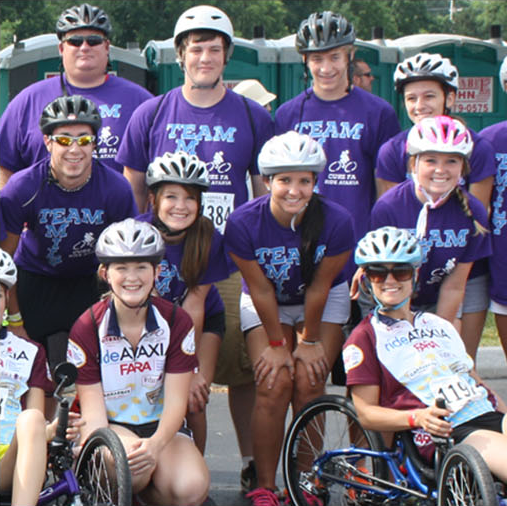 What happens along the way inspires hope in the hearts of other families battling FA and starts a movement, now known as rideATAXIA.